자동차 / 송신기 / 수신기 / 설명서가 포함된 RTR 제품입니다. 주문시 요청사항에 오렌지와 스카이 블루중 선텍 메모 해주세요. 미기재시 랜덤 발송 됩니다. 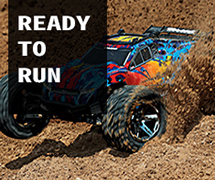 The Redcat Gen8 International Scout II 1/10 4WD RTR Scale Rock Crawler is the culmination of fifteen years of refinement, and is Redcat's first original vehicle designed and developed in the USA. Redcat Gen8 International Scout II 1/10 4WD RTR Scale Rock Crawler is the culmination of fifteen years of refinement, and is Redcat's first original vehicle designed and developed in the USA. International Harvester Scout II: Officially licensed International Harvester Scout II rallye edition. 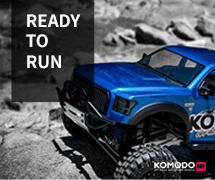 Detailed body with molded grill side mirrors, shackles, fender flares, rock sliders and more. Adjustable for Maximum Performance: Easily adjust from 312-336mm (12.2"-13.2"). Aluminum threaded shocks and 9 shock mount positions allow you to fine tune the suspension to suit your needs. Portal Axles: Portal axles give more ground clearance without needing bigger tires. The portal axles provide more gear reduction than a standard axle, helping to reduce torque twist in the chassis. Precision Steering: Chassis mounted servo with panhard bar, 47° of steering and proper Ackermann angles help to provide improved steering, compared to the Gen7. Ground Clearance: The Gen8 provides 61° of approach angle, 73.4mm ground clearance, and 39.5° departure angle, giving it the clearance it needs to tackle tough terrain. Innovation & Durability: The transmission features Mod1 gears, a sealed pinion and spur gear, and allows the use of pinion gears from 9 to 23 tooth to create gear ratios from 28.12 to 71.85. All this adds up to a more durable transmission that helps to prevent failure and keeps you on the trail longer. Plus the innovative dual slipper clutch design can operate as a true slipper, or you can remove the slipper pads and springs and lock the spur to eliminate the slipper. Rigid Body Mounting System: Hook and loop body mounts eliminate the body clips to create a clean and realistic looking exterior. The body features multiple supports for a durable, rigid structure. Rock sliders provide extra protection for the body. LED Ready Body & Bumpers: The realistic LED lighting hardware allows for up to 16 LED lights to be installed. The Gen8 Scout II body features four LED headlight mounts, and six LED taillight mounts, while the bumpers allow four lights in the front and two in the rear. Install the light system of you choice in the provided 5mm LED mounts and light up the trail when the sun goes down. Licensed Interco Super Swamper Tires: Exact scale replica of the high performance IROK Super Swamper tire from Interco uses a patented Three Stage Lug Design. 1.9 True Beadlock Wheels: Steel beadlock rings are securely mounted to a 1.9" chromed plastic wheel. A screw on wheel nut cover provides the final realistic touch. COPYRIGHT © 2018 GOLDFINGER. ALL RIGHTS RESERVED.